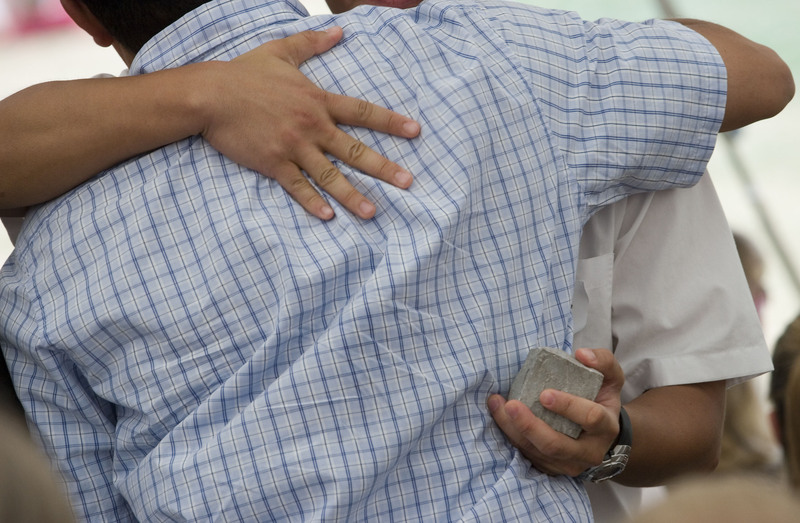 In a tent reserved for friends and family of victims at the memorial dedication ceremony, two men embrace, one of them holding a victim&#39;s Hokie Stone. Photo taken August 19, 2007. Photo courtesy of Kim Peterson and Virginia Tech University Relations. Kim Peterson, “[Untitled],” The April 16 Archive, accessed April 24, 2019, http://april16archive.org/items/show/1408.